Tejasvi Surya, contesting on a BJP ticket from Bangalore South constituency, is one of the youngest candidates this election. 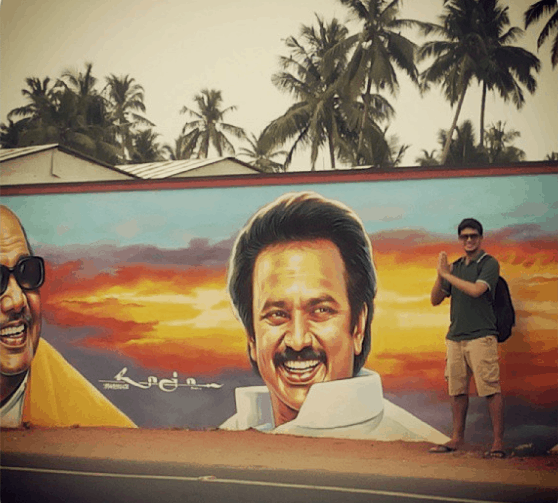 Surya, 28, is a practising lawyer at the Karnataka High Court, and has been associated with the BJP and RSS for long. He is currently the State Secretary of Yuva Morcha, BJP’s youth wing. Surya is a spokesperson for the BJP, and also part of its national social media team. He is also the nephew of Ravi Subramanya, the BJP MLA from Basavanagudi. Surya has co-founded the Centre for Entrepreneurial Excellence, an organisation that runs projects related to education and entrepreneurship. In 2017, the British High Commission had selected him to participate in a young leadership programme in the UK. Surya had won national recognition for his leadership of the state BJP’s digital communications during the assembly election last year. He was also part of BJP’s ‘Mangalore Chalo’ rally in 2017, to protest the alleged murders of RSS workers in Dakshina Kannada region. The rally was credited for BJP’s victory in the region in the assembly election. Surya had also organised and addressed BJP rallies across the country during the 2014 Lok Sabha election. However, his speeches and social media posts have become controversial for his hardline Hindutva position. He has strongly advocated for a “Hindu Rashtra”, and for BJP to “unapologetically be a party for Hindus”. In his tweets, he has called for consolidation of Hindu votes to counter “Muslim consolidation” of votes going to the Congress. Surya’s speeches frequently refer to the Congress as a “party of the Muslims”, “jehadi party”, and so on. He has also described Hindu philosophy as universal and accepting, and others as predatory. Surya has branded those who don’t support Modi as “anti-India” and “anti-national”, which has also been controversial. In a recent interview with NDTV, Surya said he did not regret his social media posts, and that it was part of growing up and evolving. Yet, just two days back, he reportedly said that the ideology of the two mainstream left parties in India – CPI(M) and CPI – was “anti-national”. An earlier tweet of Surya’s, saying that he “dreaded” women’s reservation (in parliament/state legislative assemblies), has also been widely reported in the media. Speaking to The News Minute in March end, Surya had said that he did not remember when he had tweeted this. However, speaking to Citizen Matters, Surya said his views had changed, and that women’s reservation was necessary in the short term. Surya also got an injunction from a Bengaluru local court in March end, restraining 49 media outlets and platforms like Whatsapp and Google, from publishing any defamatory statements against him. He had sought the order after some media outlets reported about a woman’s social media post alleging Surya had abused her. Outlets that had not reported on this issue, were also made party to the order. Ironically, the injunction itself sparked further reports and discussions in the media. Outlets like Scroll.in, Indian Express and The Hindu published opinion pieces/editorials on why the order had violated the law and the Constitution. It has been widely reported that BJP’s national leadership had favoured Surya over Tejaswini Ananth Kumar, the wife of late Bangalore South MP Ananth Kumar. Backed by the BJP state leadership, Tejaswini had even started campaigning in the constituency before Surya’s candidature was announced abruptly. Karnataka’s RSS leadership is also reported to have backed Surya’s candidature. He felt that Bengaluru needed a comprehensive, exclusive legislation, and that water, air, transport etc., were deliverables if there was a strong local government. He said the 74th amendment had not trickled down in the spirit of decentralisation, and that he was a votary of strong local government. 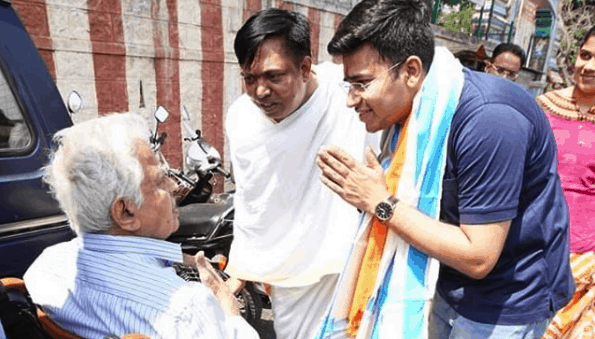 Is BJP’s Tejasvi Surya a younger Narendra Modi? BBMP elections are over, newly elected members are settling into their offices. Among them are 74 women. Will that change the dynamics of city’s governance or will it be yet another case of men propping up women candidates? He is against women’s reservations which his old tweet has revealed. There is a audio tape going around where a girl has alleged sexual harassment when he was in a relationship with her and several other controversial remarks made by him. Looks like BJP has a penchant for choosing people with dubious backgrounds! I am an octogenarian voter in Bangalore South, which has a mixed population of educated middle class. Bangalore South has always elected Non Congress people to Parliament. Late H.N.Ananthakumar (BJP) was elected six times from this Constituency. He was a simple person with amicable temperment. Easily approachable. His wife Smt.Tejaswini Ananthakumar would have been a suitable person to occupy her husband’s place. Instead BJP high command selected an youngster Shri Tejasvi Surya as their Candidate for Bangalore South Constituency. Only point favouring the election of this youngster is people’s support to Shri Narendra Modi. We have to see how the voters of this Constituency decide on 18th of this month.